Congratulations to Abeer Saha, Rachael Givens-Johnson, and Swati Chawla, graduate students in the History Department, for winning Center for Global Inquiry and Innovation grants for Spring 2017! Read more about their awards here. Congratulations to department graduate student Christopher Maternowski on winning the Class of 1985 Fellowship for Creative Teaching! This award is among the highest honors a graduate student can earn in recognition of their dedication to teaching at the University of Virginia. NPR's With Good Reason is currently featuring interviews with the history department's Prof. Erik Linstrum on the history of education in its national and imperial contexts. Read and listen here. From Sunday, 19 February through Sunday, 26 March, American History TV on C-Span3 will air a series of six interviews with prominent African American women conducted by civil rights leader and professor Julian Bond. They are part of his project with Phyllis Leffler, Black Leaders on Leadership: Conversations with Julian Bond. Each interview covers their personal stories of family, upbringing, education and career through many significant historic milestones including the civil rights era. Interviews will air each Sunday at 12:00pm. Click here for full schedule. Congratulations to History Department graduate student Stephanie Lawton, who has been awarded a Fred W. Smith National Library for the Study of George Washington Research Fellowship. Read more about the award here. Congratulations to History Department Graduate Student Frank Cirillo, who has been awarded the Bernard and Irene Schwartz Postdoctoral Fellowship, offered by The New School for Liberal Arts and New York Historical Society. Read more about the fellowhship here. Prof. Sarah Milov Featured on "With Good Reason"
The summer of 2016 marked the first time that University of Virginia undergraduates embarked on four internships in American history made possible by funding from the John L. Nau III Center for Civil War History. Read about their experiences here. Congratulations to James P. Ambuske, ‘16 alumnus, who has been named Horatio and Florence Farmer Postdoctoral Fellow of Digital Humanities at the University of Virginia Law Library. Read more about the fellowship HERE. Congratulations to Swati Chawla, PhD Candidate in the Department, whose team received a Center of Excellence on Democracy, Human Rights, and Governance Grant for research on "Increasing the Civic and Political Participation of Women" from USAID and Institute for International Education. The grant was awarded to a team of four graduate students and two faculty members from UVa. Read more about the grant here. Congratulations to Asaf Almog and Frank Garmon, PhD Candidates in the Department, who are recipients of Humane Studies Fellowships from the Institute for Humane Studies for the 2016-17 academic year. Read more about the fellowship HERE. Congratulations to Frank Garmon and Swati Chawla, PhD Candidates in the Department, who are recipients of the George Mason University Mercatus Center’s Adam Smith Fellowship for the 2016-17 academic year. Read more about the fellowship HERE. 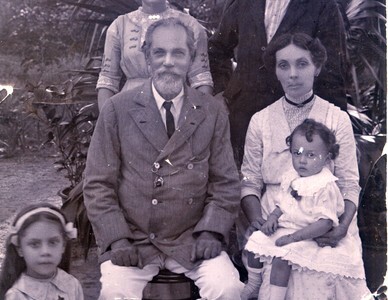 Swati Chawla, PhD candidate in the Department, has recently published a review of Uther E. Charlton-Stevens' dissertation, Decolonising Anglo-Indians: Strategies for a Mixed Race Community in Late Colonial India during the First Half of the Twentieth Century, in DissertationReviews.org. Read the review HERE. Congratulations to Alexandra Evans and Nicholas Lindberg, PhD Candidates in the Department, who have been named as recipients of UVa All University Graduate Teaching Awards. Congratulations to Alexi Garrett, PhD student in the Department, who was awarded the Harvard CNA-UELAC Fellowship in Loyalist Studies. Taylor '14 published in Canadian Encyc. 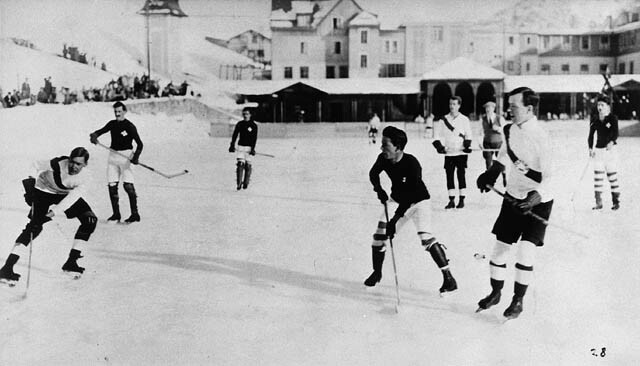 Trent Taylor, undergraduate History major class of 2014, recently published an article in The Canadian Encyclopedia in conjunction with Historica Canada about the history of the Oxford University Ice Hockey Club. Read the article HERE. Alan Taylor has been elected a Fellow of the American Academy of Arts and Sciences. Congratulations to him on this wonderful recognition of his contributions to our collective intellectual life. See the listing of elected fellows HERE. Congratulations to Erin Lambert, Assistant Professor in the Department, who has won the Cory Family Teaching Award, given to a junior faculty member in the College "for excellence and innovation in teaching and the promise of sustained commitment to teaching” undergraduates. Congratulations to Chris Nichols, who received his PhD from the Department in 2008, who has just been named a Carnegie Fellow for 2016-17. The Fellows program is part of a major new effort launched last year by the Foundation, for which one must be independently nominated. Chris will be working on a project on American isolationism. Read more about the program HERE. What makes a candidate competitive for a history job? Our very own James Ambuske, Prof Andrew Kahrl, and Prof Elizabeth Varon will speak from recent recent experiences of being on the job market or serving on search committees. Possible questions: what makes a candidate stand out? what are the red flags that stand out to committees in the first round of shortlisting from hundreds of applications? what makes a competitive graduate school record? how to prioritize time in graduate school between conferences, grants, dissertation writing, service etc? tips on job application materials? As always, here’s the best part: FREE LUNCH IS PROVIDED! All we ask is that you RSVP to http://tinyurl.com/hvmm7qx so we can order enough food.